This devastating portrait of an obliterated post-war Europe remains one of the most affecting films in the history of cinema. 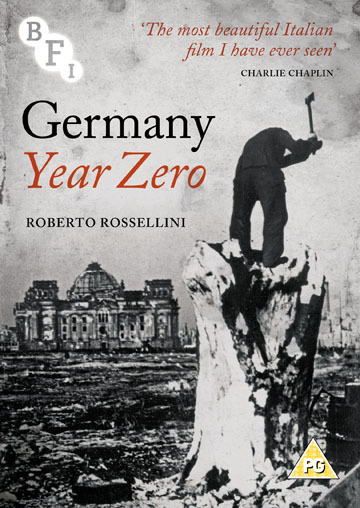 Newly restored version of Roberto Rossellini’s closing part of his celebrated War Trilogy. Amidst the ruins of Berlin in the immediate post-war years a young boy, Edmund, attempts to support his family - his ailing father and unregistered brother unable to provide for them. Left to his own devices, Edmund wanders around the devastated city, getting caught up in black market schemes and falling prey to the pernicious influence of a Nazi-sympathising former teacher with tragic consequences. This devastating portrait of an obliterated post-war Europe is a damning indictment of war and fascism and remains one of the most affecting films in the history of cinema.